I always loved the idea of my home as my sanctuary, but I didn’t realize that it would never be the case unless I made a point of making it the case. For the most part I’m naturally pretty lazy and more than a little disorganized, so it follows that my house can get a bit messy. Dishes pile up, dust bunnies multiply and stacks of dirty (or clean but unfolded) laundry take over. Not to mention those weird paper piles that seem to appear as if from thin air. When my house is like this I feel stressed, frustrated, and generally defeated. When I’m not in control of my environment, my environment controls me. A sanctuary should be peaceful, it should be inviting. It should not only be functional, but it should function easily. Everything IN my house should contribute to the functionality or the enjoy-ability of my life. How many of us just exist in an environment that is neither peaceful NOR functional, just because we aren’t making it peaceful and functional? Well. I certainly did, for a few years at least. I always recognized that it felt so good to sit down in the evening with the house totally clean and everything put away. There is no better way to relax than knowing that there is no work to be done, no rush in the morning to find stuff, and no potatoes molding in your pantry (yep – that’s happened). For those years, my home as my sanctuary was always an ideal that was just beyond my grasp. 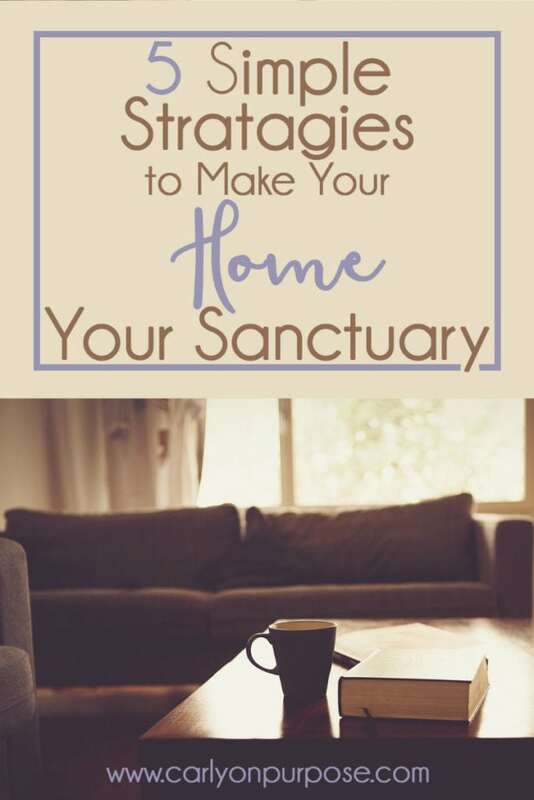 It took me awhile to get it figured out, but now I know I need just a few simple strategies to remain in control of my environment, so that my home always feels like my sanctuary. 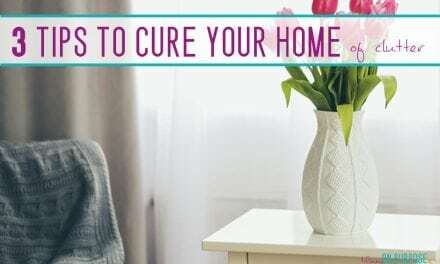 Because clutter was one of the biggest obstacles I had to getting my home to feel like my sanctuary (junk sitting around makes me feel tired and overwhelmed), de-cluttering was SO important. It was hard. It took me a really long time. Sometimes I look around and realize I’m not even done yet. But I’m ok with it being a processes, because I live here. 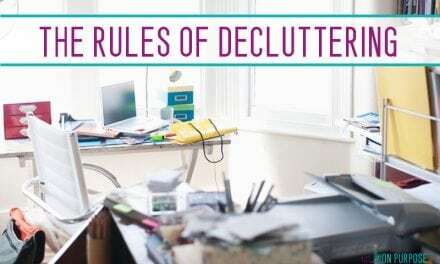 (Read here about how to de-clutter when it’s emotionally difficult). Now that (most of) the clutter is gone, my home feels so much lighter. As though all of the junk was weighing it down, and now it’s got so much more air… or space, or both. It’s crazy how fast stuff can come into our homes. If I wasn’t careful, my home would be full of clutter again in just a few months. I’ve had to learn to say no to stuff. No to good deals at garage sales, no to impulse purchases, no to well-meaning friends and family who want to pass on something they no longer use. I’ve developed a new appreciation for the stuff I already have. This really helps me to not bring in more stuff. There is a whole big wide pinterest world out there devoted to this topic. Do it. BUT, remember that no junk is better than organized junk. Right? 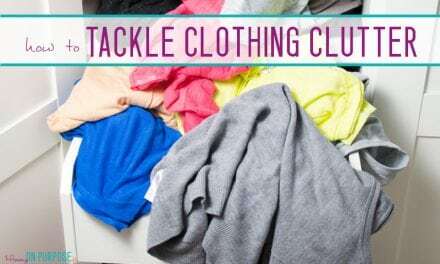 You’re still gonna have SOME stuff after your great de-cluttering mission, so here’s an awesome post from Abby @ Just a Girl and Her Blog on how to organize the stuff you’re left with. I’ve had to come up with better systems for my recycling and storing seasonal items. Having this stuff just sit in the porch or spare room for weeks on end is devastating to having a home that feels like a sanctuary. If you make a point of tidying each room before you leave it, things tend to stay tidy. I find my biggest baddest habit is leaving my clothes on the bathroom floor after I shower. As long as I pick the clothes up EVERY SINGLE DAY, there is never a pile. If I leave them just one day though, that’s it. They just attract more clothes. I don’t know how they do it. And not only clothes, but it’s like they pull other stuff out of the cabinets. Suddenly the hairdryer is left on the counter and there’s a little pile of bobby pins having a party by the sink. If I just make a point of putting away those clothes every day, the whole bathroom stays clean. But allowing myself to be lazy once allows me to be lazy all the time. I’m not suggesting you stop living your life and clean all the time. Extremely messy is no good, but neither is being extremely focused on perfection. A dirty bowl in the sink shouldn’t make me shudder, as long as it’s gonna get washed soonish. Three days of dirty dishes or last night’s popcorn bowls in the living room? That’s no good. I hate hate hate doing dishes. G is pretty great, he doesn’t mind it at all and often he’ll wash up after supper. If I had to hand-wash everything I’d always have that three day old pile sitting around. I’m all for being frugal and green, but my dishwasher runs lots because I prioritize a clean kitchen and avoiding doing dishes pretty highly. I prioritize it over saving money on dishwasher soap and the cost of running that dishwasher. I constantly read these articles that say “do a load of laundry every day to stay on top of it” and I always think it sounds so wasteful. But maybe laundry is a struggle for you and you have to prioritize having a tidy home and being on top of the laundry over the cost of doing laundry every day. 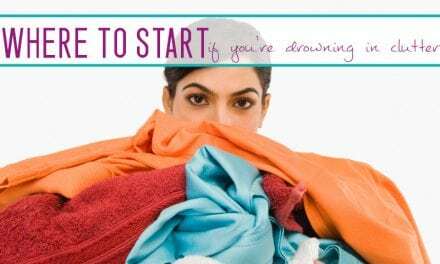 If one load of laundry is something you can handle but 6 loads on the weekend destroys all your good intentions, well, you should probably do one load a day. 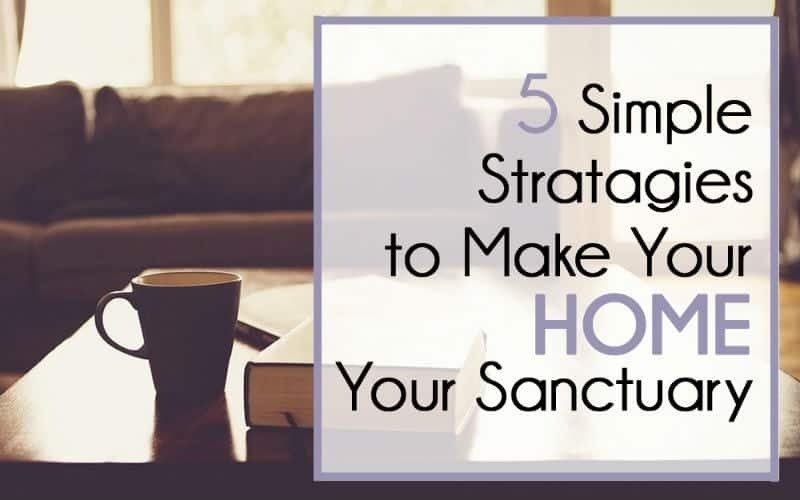 What makes your home your sanctuary? Is keeping it tidy and uncluttered an important part of that or not so much? Hi!! Just wanted to tell you that all you said is soooooo true. I hate going home because I don’t want to face the mess. HI! Thanks for reading! I used to feel that way too – it was so stressful. I love having a tidy house now… I’d like to encourage you to think of ways to tackle your mess so you can feel better about being at home. 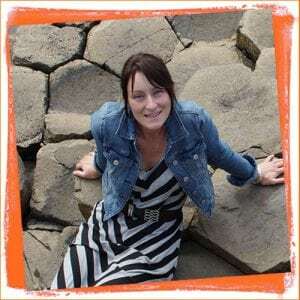 Hi Reba 🙂 Thanks for reading! 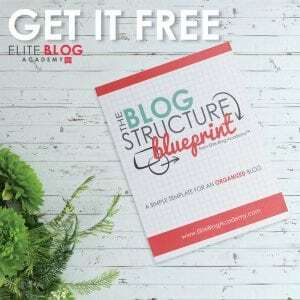 I’m so excited for you to get tackling your “stuff” – it sure CAN be depressing! I agree with this. Thank you! You’re very welcome Patricia! Thank you for reading!